I should have published this post 3 days ago, but for some reason, I never found the time to do it. My sincere apologies for making you all wait. It's starting to become a bad habit to announce the winners days after the contest ended. I'll pay more attention in the future. 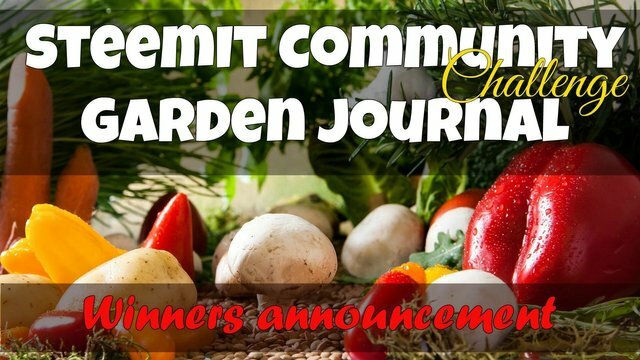 This 8th edition of the SteemIt Community Garden Journal Challenge was a success. It received 10 entries, which is more than the previous edition. All entry posts received a 100% upvote from my personal account. Because of the low price of Steem and SBD, the two posts that appealed to me the most will receive 6 Steem each. 2 randomly chosen resteemers will both receive an @incinboost share. 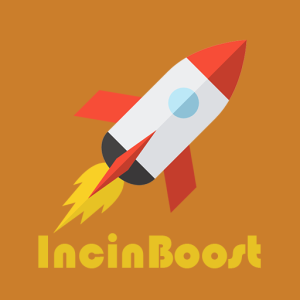 If you haven't heard of @incinboost yet, you can read this post. Basically, you can compare the system with SteemBasicIncome. The big difference is that you get back more for what you put in. In short: it's more profitable and shares are processed faster. I want to personally thank @frejafri, @fotostef, @porters, @celinavisaez, @nat-expressions, @sayee, @cloudblade, @jamethiel, @steemflow and @gardeningchef for showing us their December garden update. I'm sorry I failed to leave you all a decent comment, but life has been hectic. I assure you I did read every single post and enjoyed it to the fullest. If you love your garden - no matter how big or how small it is - I probably won’t have to tell you that you are all winners. If you’re a bit like me you know how easy instant happiness can be: a flower that blooms, a delicious, homegrown fruit to pick, finding a ladybug walking around... They don’t come any better than that, right?! Thanks for those beautiful pictures of your farm in Greece, where it seems to be mid-summer, even in winter. Seeing everything you have going on in your garden, I got a little jealous. Spain isn't that far away from Belgium, but apparently; garden-wise there's a huge difference. No way that I can start growing here now, not even in the poly. Until March, everything will have to be done indoors. Congratulations to both. I've sent your prizes to your wallets. I want to thank everyone who resteemed the contest post to help to get the word out about this challenge. There were a lot more resteems this month, for which I want to thank everyone. To pick 2 random winners, I entered all names into a random name picker. The shares have been sponsored. This was the last edition of the #gardenjournal2018 challenge. Thanks to everyone who joined the challenge this year. Don't worry, next month we'll start all fresh and fruity with the first edition of the #gardenjournal2019 challenge! TIP: If you want to make sure you don't miss out, you can add the #gardenjournal2019 tag to Ginabot on Discord. She'll then notify you whenever a new post with the tag is published. Or you can subscribe to my RSS feed or my newsletter - you'll find both links underneath my signature. It is more than obvious that you do care for the gardening so thank you for that too! You're welcome. It was a well-deserved victory. Ahhh.. The public shaming on the blockchain! Yupiii!¡Gracias @simplymike! me emociono siempre que recibo una recompensa por mi trabajo, siento una gran alegría, mi corazón late de contento. You just got a 15.2% upvote from SteemPlus! Thank you very much @simplymike for picking my entry! I am really pleased and flattered by your comments. I am very lucky the climate allows me to continue growing through the winter! I look forward to contributing to the January edition :) happy holidays! Your UA account score is currently 4.701 which ranks you at #1516 across all Steem accounts. Your rank has improved 5 places in the last three days (old rank 1521). In our last Algorithmic Curation Round, consisting of 216 contributions, your post is ranked at #91. I'm pretty sure you will find peace with your choice. Greenhouses, polytunnels, cold frames... everything can help to grow veggies when it's colder. Have you ever heard of the book 'The Year-Round Vegetable Gardener: How to Grow Your Own Food 365 Days a Year, No Matter Where You Live' by Niki Jabbour? She lives in Nova Scotia, somewhere in Canada, and I checked: the climate there is not so very different than the climate in Denmark. I haven't read the entire book myself - just excerpts, but I've read a lot of reviews, and apparently it is full of good tips. Nice, thank you, no i don't know it, but I'll check it out!